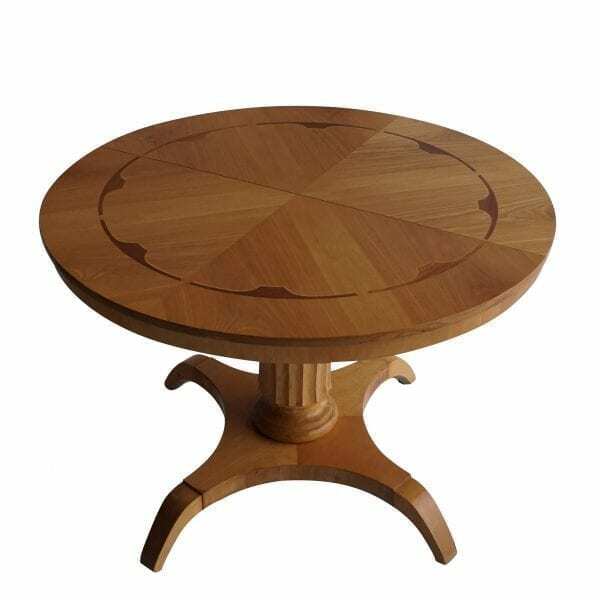 A round pedestal table made of Birchwood with a nicely carved baluster column. Wear consistent with age and use. Circa 1940, Stockholm, Sweden. Categories: Period Furniture, Swedish Gustavian. Tags: 1940, BIRCHWOOD, Scandinavian, Scandinavian furniture, SWEDEN, SWEDISH FURNITURE, TABLE, WOOD. 25 H in. x 38 W in.